"Donna" was a Bryant hull built in '61 I believe. 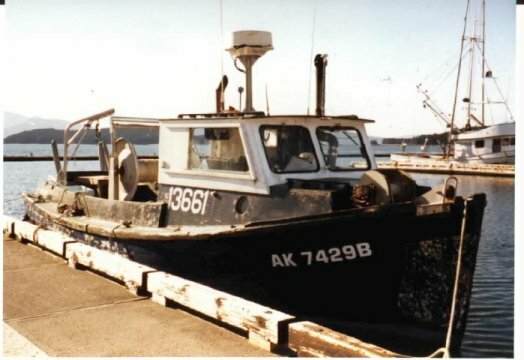 She was retired until probably around '85 when she was chosen by a couple of extremely competent and knowledgeable fishermen to serve as a foundation. They doubtlessly took into consideration general soundness, and possibly a preference for Bryant hull design over Commercial Marine. The two manufactures have been ubiquitous around Bristol Bay since the early sixties at least. The cabin is an original design built by the previous owners. In general, the standards of design and workmanship regarding the retro-fit of more modern gear by the previous owners was extremely high. We had no major problems over the 5 seasons that we fished the vessel. Near the end of the '94 season, my dad and I had a bit of a falling out. 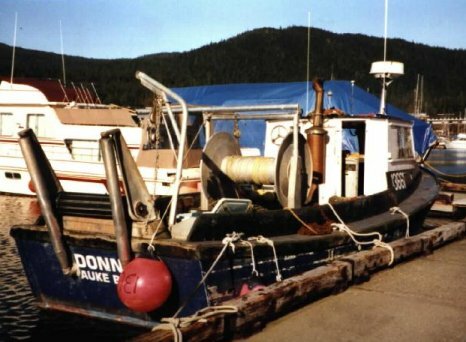 He put the Donna on a barge and took it down to Southeast Alaska where he eventually sold it. In '97, my sister who flies airplanes in those parts found the boat and took these pictures. She fished on the vessel from '90 thru '92 with me and Dad.